A salt factory at Majhirghat Narikeltala under Sadarghat Police Station in the port city caught fire on Friday afternoon. 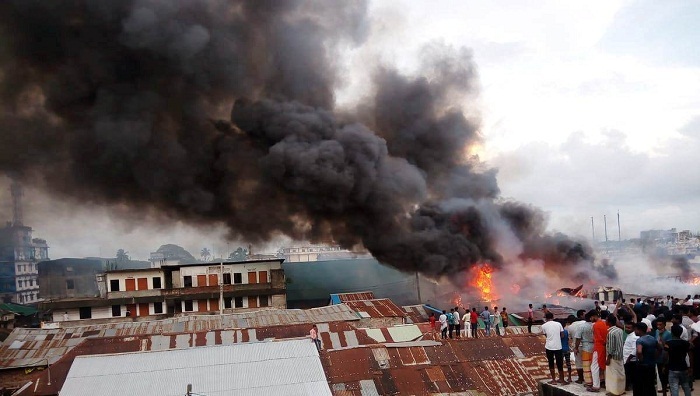 Sarwar Jahan, duty officer of Chattogram Fire Service control room, said the fire broke at ‘Sumon Salt’ factory around 5:20pm which also engulfed several other adjoining establishments. On information, 13 vehicles of four fire-fighting units rushed in and brought the fire under control around 6:30pm, he said.